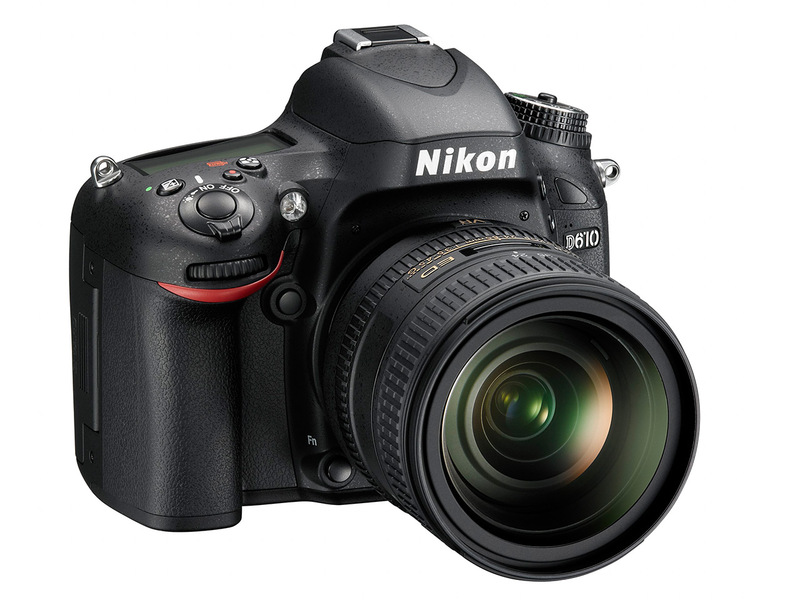 Nikon has announced the much-rumored D610 24MP full-frame DSLR. Coming just a year after the D600, the D610 appears to be a very minor refresh, with a quiet continuous shooting mode, improved white balance and faster continuous shooting touted as its major changes. Beyond this, the D610 is essentially the same camera as the D600 and, given its launch at the same $2000 SRP, it's extremely likely that the D610 replaces the older camera. Full High Definition Capabilities: Capture stunning Full 1080P HD video in a variety of frame rates, including a cinematic 24p, 30p and 60i. A useful feature inherited from professional Nikon cameras, the Nikon D610 can feed 100% full screen, uncompressed video via HDMI to an external device such as a monitor or digital recorder. Additionally, a stereo microphone and headphones can be connected through thoughtfully placed auxiliary input jacks for capturing and monitoring audio. 1The Wireless Mobile Adapter Utility Application must be installed on the smart device before it can be used with the WU-1b Wireless Mobile Adapter connected to the Nikon D610. The application can be downloaded free of charge from Google Play™ or the Apple App Store. 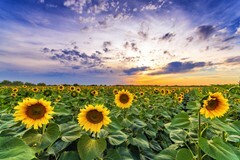 For use with Android or iOS mobile devices, please refer to mobile device compatibility and available features at https://play.google.com/store/apps/details?id=com.nikon.wu.wmau&hl=en (Android) or https://itunes.apple.com/en/app/wireless-mobile-adapter-utility/id554157010 (iOS). Did they finally correct the oil on the sensor issue? We will see in near future if they did or not. If I made cameras, I would use a mechanism that is working great in the Dxxxx model and put it in - I do not need to keep other parts that would differ on hand and simplifying production and repair is a great strategy! 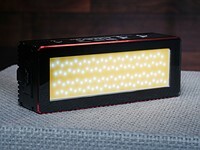 But, if you buy the camera, I wish you GREAT LIGHT and take great pictures - SHOW THEM HERE TO ALL TO SEE! "Did they finally correct the oil on the sensor issue?" I just heard that the D610 was designed to spray a fine mist of apple cider vinegar on the sensor instead. What POSITIVE idea do you have sir? What do you accomplish by your statement? HM, why would you waist everyones day with your statement? I never understood people with statement like this for some reason! I WISH YOU ALL A GREAT LIGHT! As a legacy Nikon Owner, it hurt. 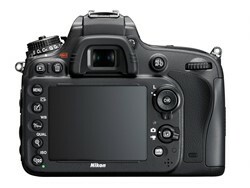 I got D600 on 2012-Dec with high price. and after that, the price falling down. 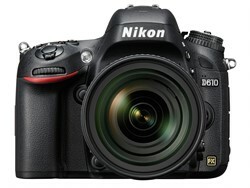 While I am curious of why D600 price sliding-down so fast, and seeing this new +10 Model. The feeling is bad. It is only one year. Nikon's way of marketing this D600/D610 is really negative to his image on assured high quality and hurt the customer loyalty like me who purchase D600 with high price. D600 is my first full frame DSLR, and I quite happy with this Body. What I learn is not to purchasing new 3C product within the first 6/12 Month after launch. Hope Nikon can learn from this D600 issue and do be a High-End Camera Manufacture who persist on quality and can be trust on price and quality. 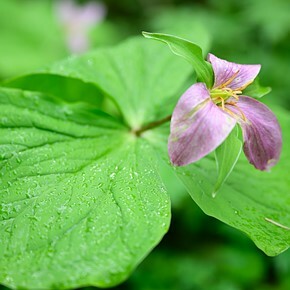 Of your D600 has no shutter issue, you still have a great camera, I would like to have, but still can't afford. I also hold for several month before purchasing the newest camera. After D100, D200... I held back and purchased the D800 and I am VERY HAPPY. BUT, you should also be happy with your camera - the cost of the body alone is NOT THE biggest cost - your lenses, flash units, adapters ...cost much more than your D600. 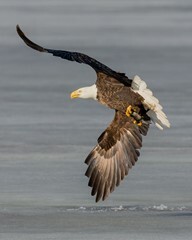 The D600 is a great camera - based on what I see. 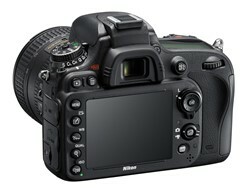 The newest model will not change much - you use the D600 as a TOOL, not as an investment - I hope! Investing in a Nikon (or any other camera, usually) is not how one should see his/her camera - I think. If you keep your camera, lets say 10 years total, and you paid $2000 divided by 10 = 200 divided by 12 = less than $17.00 per month! With interest, lets say $20.00 per month! Now, if you take pictures (not for profit) but for pleasure, the picture (and the camera) is PRICELESS! 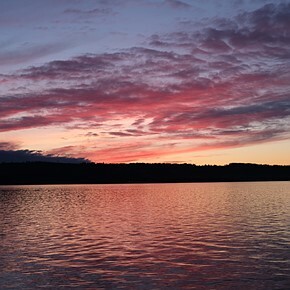 I wish you all a great picture taking and remember, photography is PAINTING WITH LIGHT! It seems to me that the only people who really have a complaint are those who bought a D600 and if those folks have only to send a faulty D600 in to a service center and get back what is basically a D610 without the badge, then I don't see that anyone has much to complain about. There are no products that cannot have certain issues at the time of roll out, and beyond, and that is why there are warranties. That's why there are recalls. I have to admit that since I got into photography I have been both appalled and amused at how ridiculous photo hobbyists can be with the "my camera brand is better than your camera brand" and what not. I'm not going to defend the Nikon brand because I don't think that Nikon needs a defense. There are names for those who refuse to live in the real world and have to whine about every little thing the corporate world does. Pick your favorite. As for those who are completely bummed out, just move on to another camera brand. There's no shortage. 6 paragraphs whining about those Nikon shortchanged. 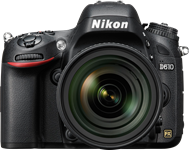 When did Nikon admit a problem with the D600 or issue a recall? They seem to spend as much time denying warranty repairs on the D600 shutter as much as they do on fixing them. Geezse, D610! Nikon basiscally sees its user as a bunch of friiieeken idiots. wracked D600 owners: Nikon wiped your asaases hard and threw candies all over ur face at D610 annocement. 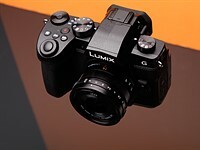 "given its launch at the same $2000 SR"
Wasn't D600 priced $2,100 at launch, reduced to MSRP of $1,999 only later? 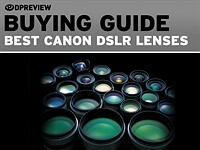 good news for people looking for used d600. nothing more. It's also great news for anyone who wanted a D600 but without problems. 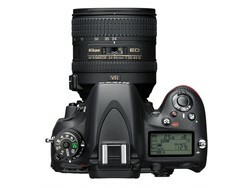 I am waiting for Nikon D699. at least it can shoot 6 fps as slow as 5D3. Second-hand value? Haha, folks.. When you buy electronic goods, any electronic goods, you might as well add the purchase price to your "never see" again pile.. The D610 is clearley a way to sugar coat a replacment for the mechanically flawed D600. Has the the D600 had the shortest shelf life of any Nikon DSLR to date? I believe so and i also believe i know the reason why. The one thing that does interest me, i wonder if we will ever see the same lynch mob that once came out to condemn the Fuji X10 and its Orbs, i wonder as the D600 holds the illustrious "Nikon" badge it may be imune to such haters. I feel sincerly sorry for all those who bought a D600, who will see a drop in second hand value, and will have to live with doing regular sensor cleaning. I think Nikon should make a limited time offer to replace the D600 with a D610. That would restore faith. But, I guess they will just count on the short memory of people. Sigma re-released their SD1 with a new name, lowered the price with 75%, and gave those who had bought the old one a gift card for lenses, according to the price difference. On the other hand, Sigma pulled the same trick when SD15 replaced the SD14, cause there where problems a firmware update could not fix. 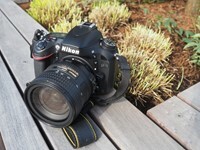 Reports on the Nikon FF forum suggests that even if Nikon replace shutters on the D600, it does not fix the problem. So, its probably not D610 shutters that is used. An excellent innovation, which involves painstaking research and technology that only a year later it was possible to reach this level of evolution, a breakthrough in the world of photography. Still say that Nikon is not being innovative..."At the heart of the image". What if they didn't even fix the issues with the 610? That would be a real crime. 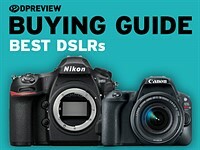 Eager to buy a used D600 for under $600. Nice of you to launch the D610 BUT I'm still awaiting the D400 prosumer DX! My observation is the reality, in an email sent direct to him a full 24 hours before he plagiarised my comments for his PENTAX D400 his post. Please see my post over on the Pentax DSLR forum under 'Thom calls the K3...' for the full story, explaining how Hogan dissed the K3 in private only to perform a complete volte face the next day . EXTRAORDINARY! I have subsequently questioned his Jekyll and Hyde private/public utterances and been told to no longer email him. So much for debate! All other issues aside, I'm pretty excited that we're finally getting a camera that places emphasis on the image making experience! Another fine product from Nikon that won't be able to replace my D300. Why not use such a great opportunity to install some desired features like built-in WIFI, increased buffer size, more focus points, higher resolution screen, stereo microphone, 1080p/60 video, USB3 port? Really, aside the renewed shutter mechanism all other improvements are merely software ones. so their fix was to leave all the current D600 user stranded with a shutter that vomits all over their sensor and who now have a worthless camera, who the hell would buy one second hand now!. I would! I actually hope the price of used D600 falls a lot! Yes, I probably would need to clean the sensor regularly until certain threshold (some thousands of actuations)... I can live with that if the price is low enough. Brace yourselves, next whining stop: Hot pixels... waiting for 25600 ISO / 30" shots with lens cap on. 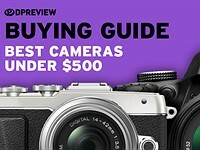 OMG... Did Dpreview actually admit here that the D600 has a sensor oil/dust issue? And all it took was a incremental model number change by Nikon! Imagine if Nikon had released a D810 as well... Dpreview might have also had the guts to finally acknowledge the Left AF focusing defect instead of hiding their heads in the sand for a year. Indeed. I can't believe it that DPR finally admitted that Nikon blundered. DPR clearly points out the oil issue in several places in the review, including the conclusion. We know that Dpreview belatedly mentions the D600 oil/dust issue ad nauseum here, Sandy... that wasn't the point. What we are saying is that Dpreview failed to also test/report on the D800 Left AF quality control issue in the absence of the launch of a putatively "fixed" D810. Does it really take a company press release or product launch to prompt any acknowledgement of post launch user problems by Dpreview? DPR mentioned the oil issue in the D600 review. 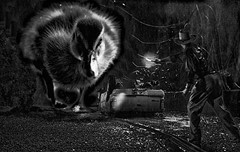 sandy b said, "DPR clearly points out the oil issue in several places in the review, including the conclusion"
Revenant said, "DPR mentioned the oil issue in the D600 review"
Can either of you point out where "oil" is mentioned in the D600 review? Not doubting you, but I can't seem to find it. Patco, section 12 and 23. Announcing a D810 with an "updated" focus system would be hilarious! sandy b said, "Patco, section 12 and 23." Sorry, Sandy, there are no occurrences of "oil" in section 12 or 23. "Dust" and "residue" are mentioned, but not "oil". Yes DP mentioned the oil problem and they gave to the D600 one of the highest score ever. 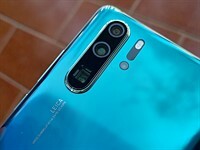 A camera with a design problem getting one of the highest score ever ? DP are you kidding me ?? 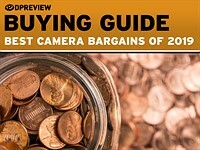 With everything said, now's the best time to look for bargain D600s. Never had problems with mine, and we are in dire need for another FF. Nikon's apology is worse than their crime. Come on guys! This is a great camera! Is it? Suddenly after fixing the most ridiculous issue ever by releasing a new model instead of actually repairing the old one - it become a great camera? If I would own D600 I would never buy another camera from them after being f**** up so much with D600. And who says the opposite? This is not the issue, here. That depends on what your 'real world' is. 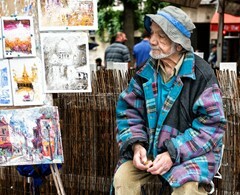 Not everyone shoots portraits and only use f4 or larger apertures. I used to do lots of landscape and long exposures - until I 'upgraded' to the D600 that is, which is indeed useless for my type of photographye unless you want to spend half an hour cloning every shot. 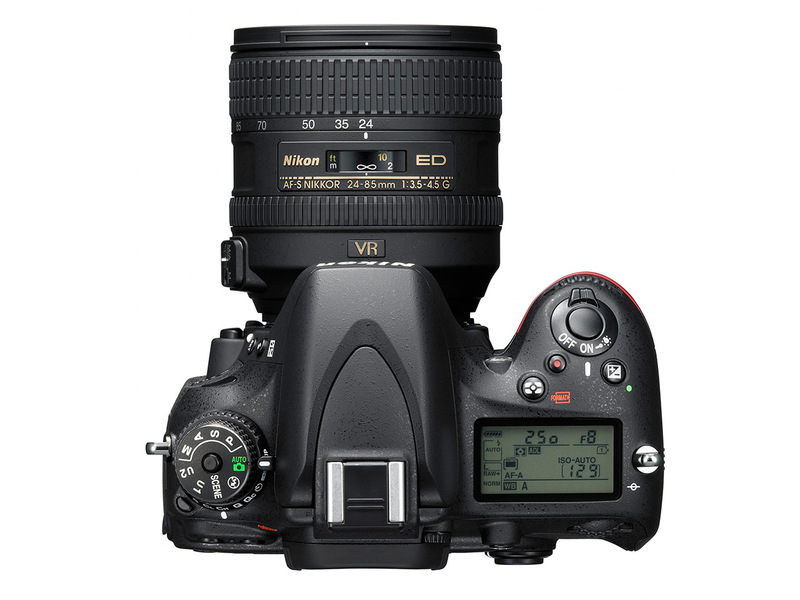 Well in the worst upgrade stakes it's a two horse race between Canon and Nikon. However, the race is a non-starter as both have pulled up LAME! I'm calling this one and giving it to Nikon by a pixel. 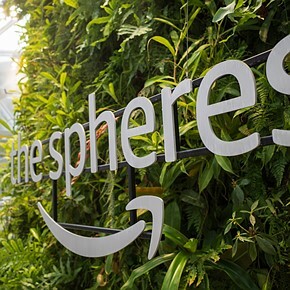 Refuse to support a company which first denies a clear and apparent flaw in their product and then releases a measly incremental model which is clearly meant to solve precisely that. Does this mean if you buy a dirt cheap warranted D600, will Nikon replace your shutter mechanism with one that doesn't splash oil onto your sensor? If so that would be a much better deal! This is not a nice move from Nikon. Why not a decent repair for D600 owners? Trying to keep your costumers in your shop for the rest of their life. If there was any justice, the Pentax K-3 should get the lions share of the traffic today, not the D610 announcement. Many people have leaped off the APS-C upgrade treadmill or they want to, because upgrading mindlessly from one APS-C model to another, year after year, without any noticeable improvement in image quality, simply makes no sense. I call it a treadmill because you can run as hard as you want but you haven't gone anywhere. Assuming that you spend $1200 average for every upgrade and you have gone through 5 upgrades, that is $6,000 spent with nothing to show for it. In the bad old days, when FF cost $3,500 to $7,000, people had no choice but to buy APS-C models. Now there are choices from Nikon and Canon that only cost them a few hundred dollars more than an "enthusiast" APS-C model. Can't blame the people for showing interest in an upgrade that is actually an upgrade. @anastigment couldn't agree more. 24mp on an aps-c size sensor does nothing for me. @anastigment - and yet, millions of wonderful and amazing photographs have been produced on APS-C, even from those old crufty 6 Mp cameras that couldn't shoot past ISO 640 without introducing horrible grain. I suspect that all the upgrading was not driven by incompetent gear, but rather by the status quo. Anastigmat has been crying about full frame since 2004. Those days back then were spent trying to convince the people on the forum that sub $1,000 full frame was easily doable (then) if only the manufacturer's weren't conspiring to keep them out of the hands of the consumers. P. S.: Yahoo answered the same for Canon not so long ago (700D). like Thom said it very well in his latest article, this is the most lame product introduction, and this shows us clearly Nikon lacks complete honesty and respect to its long time loyal customers. I will not buy any more Nikon gear, I will just keep my current D800E but it is and will be my last Nikon, I am done with this fraud business. I think this is very extremely insulting to us. I'm absolutely with you on this one. I've watched Japanese people bow with respect and admit mistakes. Nikon on the other hand chose to remain silent and give us a D610. Volkswagen released a Golf VI in Europe after the V turned out to be a bit of a lemon. At least top level management admitted that the VI would put things right that were wrong on the V. I have a drawer full of Nikon stuff and am loyal for 25 years. If Fujifilm gets it right with the X-Pro2 en X-E2, I'll buy into the X-system. 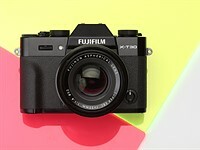 Amongst other things for Fujifilm's caring attitude to customers. I am currently still resolving the issue with my V1 that devours EN-EL15 batteries. Unsuccesfully so far. Free replacement batteries keep ageing extremely quickly, becoming unusable within 10 charge cycles. Nikon still has to admit to the problem being in the V1. 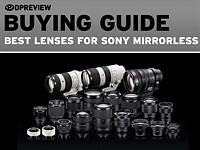 Thom had an interesting read on this problem on his mirrorless site and basically confirmed that something is wrong on at least some of the V1s. Maarten says: "I've watched Japanese people bow with respect and admit mistakes." .....and that's also what Nikon just did. They put a lid on it. Who's Thom? Isn't that the blogger who complains about every single move Nikon makes? @Fogsville: "Not within the Japanese business cultural will you find any admitting of mistakes". I jsut read the article you linked to, and I may indeed have confused bowing for admitting... Not too encouraging. I'm not even going to bite on the D800, my D700 does what I need. Fed up buying expensive Nikon cameras every 2 years. Never again. Instead of accepting issues with D600 and provide service to faulty cameras they just release a new camera leaving users of old camera frustrated. Nikon needs to get their act up soon or they will be in trouble. Actually, according to Thom Hogan, Nikon is quietly replacing the cameras that come in for service with new shutters. I am not defending Nikon but they are not doing what you allege. I agree. This output of the D6010 is a final confirmation of a production of faulty D600. If Nikon wants to prove to those who require serious need to replace the old machine with the new model. It would be unfortunate not to try to compensate those who bought the D600 (and did not spend much). Nikon is not replacing the faulty D600s in India. A friend of mine owns the D600 which has oil leak problems and so far he has sent that camera 7 times for service in last 5 months with no avail. Hooray for all the screwed D600 owners! Remember when Leica M240s were smashing to the ground because of loose strap lugs? Every camera that got damaged earned a free trip to Solmes, a full CLA and updated warranty. In most countries people received replacement cameras to use during the wait period. Learn something Nikon? Learned they need to start asking $7000 ? I agree though, but Fuji might be a better example. A new sensor if you encountered the Fuji Orb problem (x10), a new shutter for the Sticky blades problem (x100), both even outside of the warranty, and free of course. They stand up and do something. Is this the fastest FF replacement ever? We're still working on our review of the Nikon D610, but recently shot some real-world samples to see if the most recent update still retains the same top-notch photo quality found in last year's D600. Click through for a link to our real-world gallery taken in a range of different environments and our test scene images.